Well done to Year 2 for the highest attendance in the Autumn Term an impressive 97.80% . 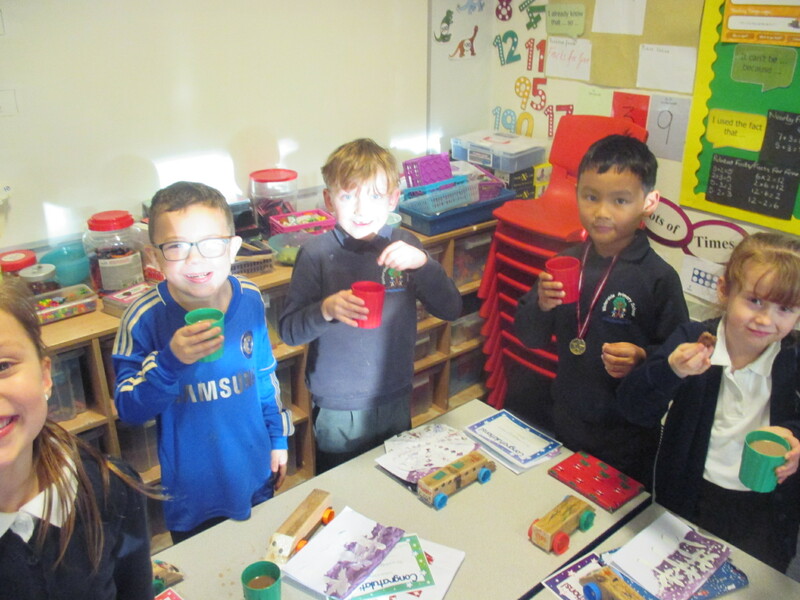 They have shown great resilience when there has been a lot of illness in school. 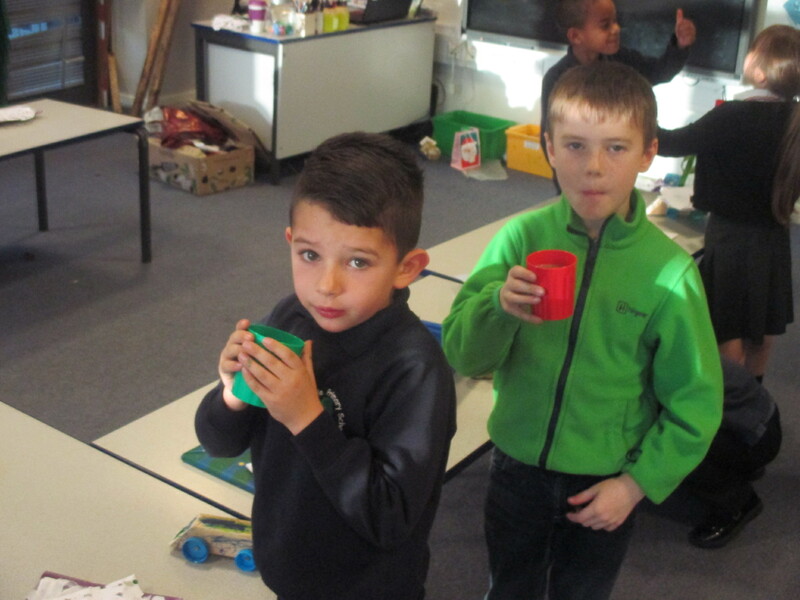 As a treat they enjoyed afternoon hot chocolate with Mrs Moakes today and i’m sure we can all agree – it is great to see pupils being rewarded. 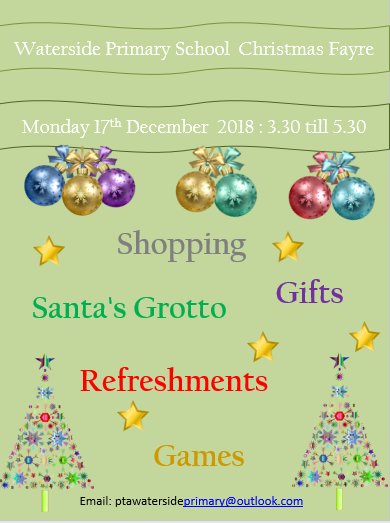 Don’t forget the Christmas Fayre on Monday 17th December 15.30pm – 17.30pm. Lots of stalls, fun and games. 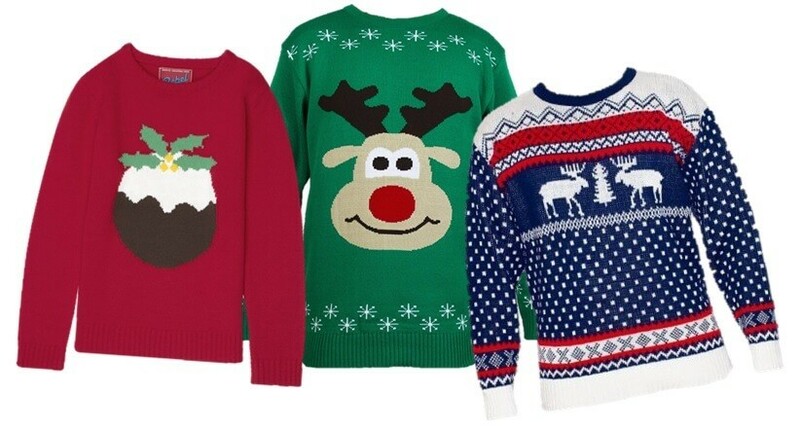 There will also be shopping opportunities for that last minute pressie! amazing. 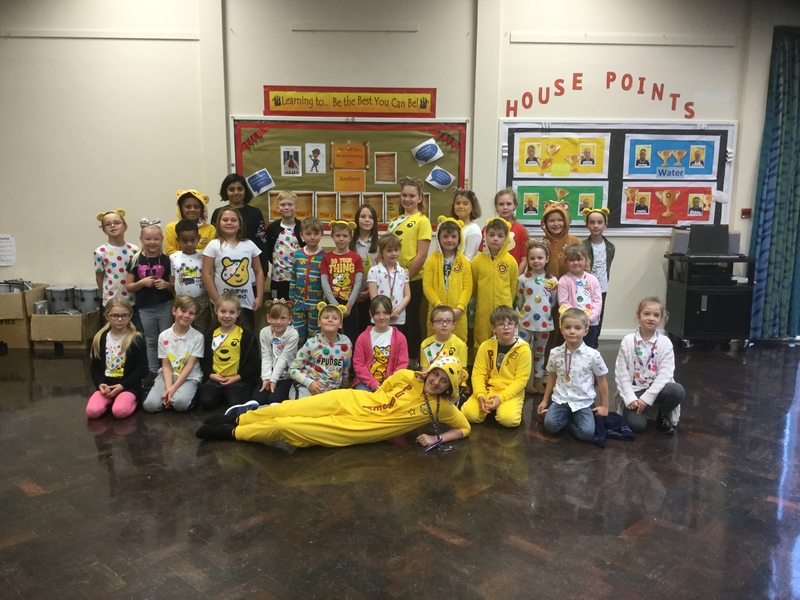 As a school we raised a whopping £216.02 for Children in Need which is brilliant! 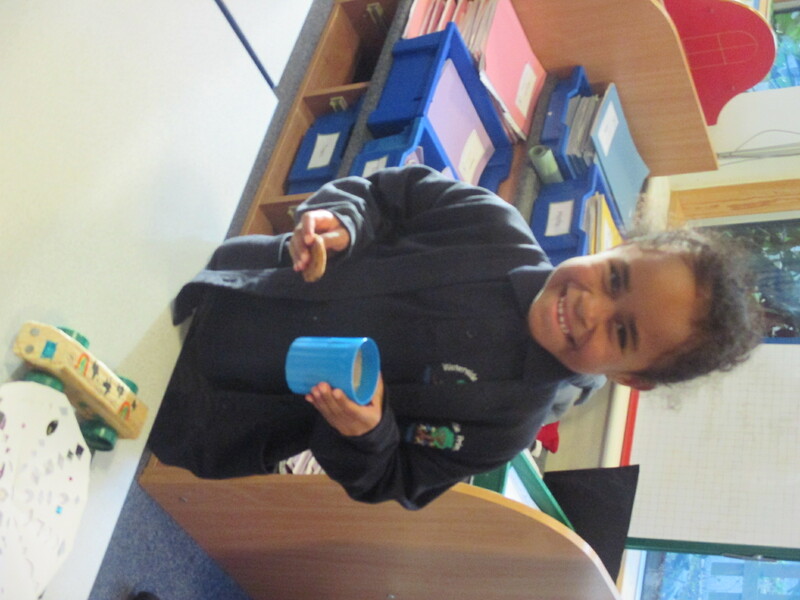 Well done to Year 1 who also held a biscuit sale in Class, which raised £40. 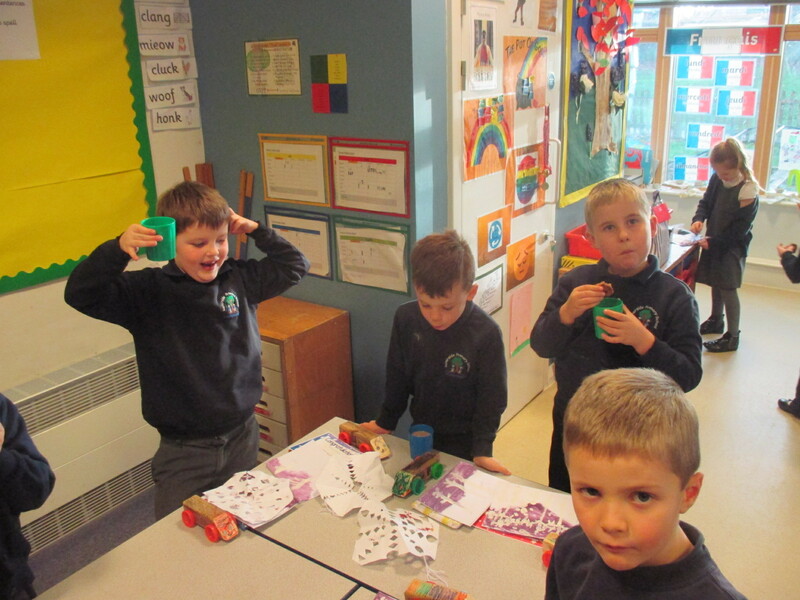 The children really enjoyed opening up their shop to their parents. 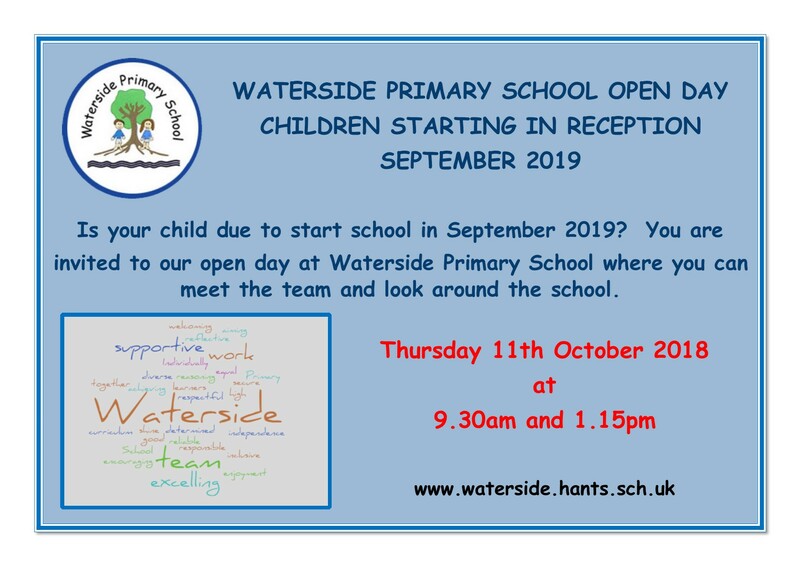 If your child is due to start in September 2019, please come and look around Waterside Primary School and see some of the great work which is happening within our School and what we have to offer as a small primary. There are 2 tours, the first at 9.30am and the 2nd at 1.15pm. All visitors to report to the reception and sign in. Today we were very excited to welcome Miss Schwartz from the Hampshire Music Service to assembly. 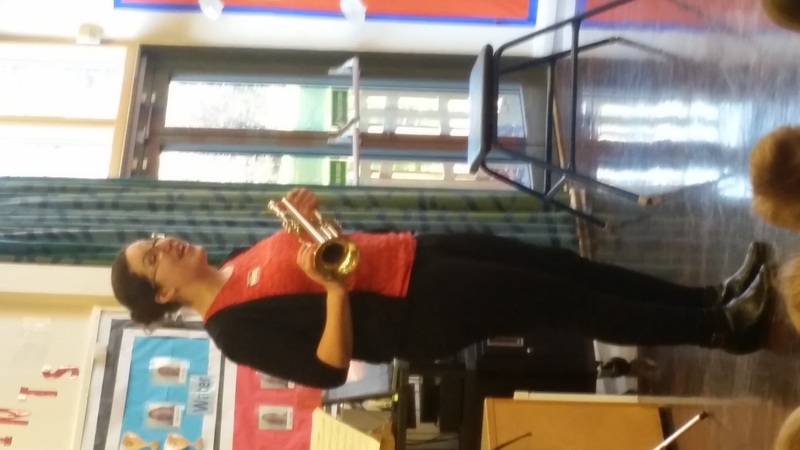 Miss Schwartz is an experienced brass musician and music teacher. Miss Schwartz spoke with the children about the instruments, their history and how they are played. 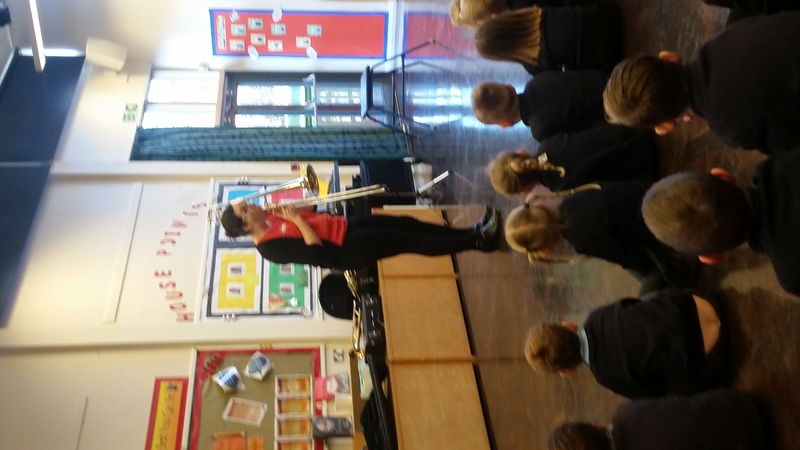 We all enjoyed listening to her play and I think everyone learnt something new about brass instruments. If there are any children who are interested in learning an instrument then please come in and speak to staff about it. The governors are pleased to announce that we have appointed Mrs Emma Moakes as Head Teacher for Waterside Primary School. We have full confidence in her abilities and know that she will lead the school to success. We told the children this morning in assembly and they were extremely pleased. 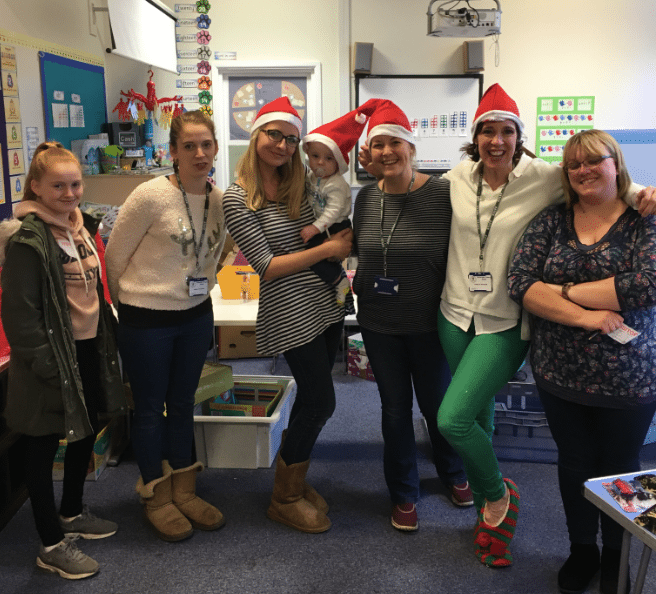 Santa and his little elves were VERY busy crafting and organising the Christmas Fayre yesterday. There was a chance to meet Santa, a fabulous raffle, tombola and a wide variety of stalls in the hall. Many parents attended with their children and fun was had by all. The PTA took a whooping £867 which is an excellent amount of money. 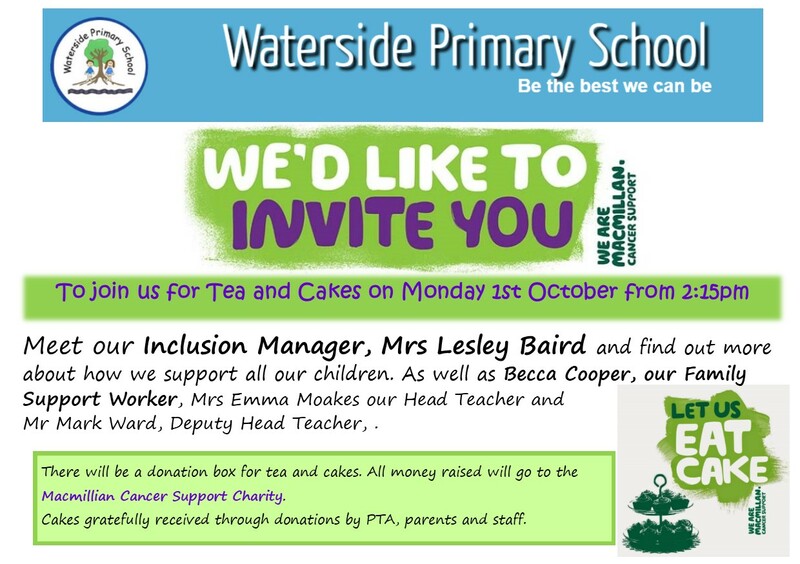 A big thank you to Friends of Waterside for their efforts in organising such a great event. Festivities are well underway at Waterside this year. Friends of Waterside opened their Christmas shop today and they did a great job of organising the children. 671 gifts were ordered and this equated to 76% of the school shopping for gifts. Every child who entered the shop had their very own shopper who helped them chose gifts for their loved ones! Each class passed through in 30 minutes which is amazing! A big thank you to the FOW for organising, shopping, wrapping and spending the time to organise this event. In total the event raised an approximate profit of £300 for the school.